What really separates the top poker players from everybody else? Well, much like anything else in life it is the little decisions and habits that they make on a daily basis. There are certain things that top level poker players do each day that the vast glut of breakeven and losing poker players either do not know about or are not willing to do. In this article I am going to discuss 12 of them. As I have mentioned before on this blog several times, one of the biggest keys to becoming a winning poker player is consistency of play. If there is one thing in common that nearly all of the top poker players have it is that they have played more hands than anybody else. I got good at this game primarily by playing millions and millions of hands and learning from my own mistakes. This is partly because I came up in an era before training videos, strategy forums, coaching, books etc. However, if I was to start all over again today I would still largely do it the same. That is, I would focus on playing as much as possible. This is why the first and most important daily habit that winning poker players develop is playing a minimum number of hands each day. This number could be as low as 100 hands. The key here is that you get in there each day and be consistent with it. This allows you to constantly be thinking about the game and therefore improving. If getting great results in poker is something that you truly want, then you need to put it higher up on your list of priorities. Even if it is only 20 minutes a day. Put in those hands. 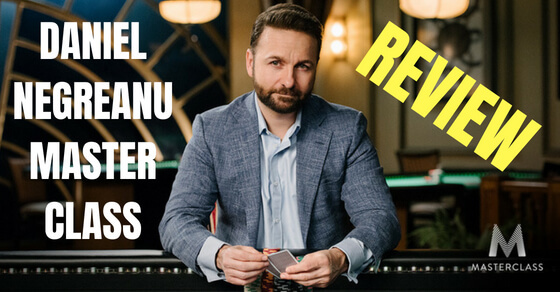 I often do a quick session review of the previous day before I start my current poker session. Because this allows me to recall the difficult spots that I was in on the day before, learn from them, and make better decisions in today's session. It has been well documented that we learn through repeated exposure and experience. In fact many researchers in the field of psychology call this the "spacing effect." You don't learn a new language for instance by memorizing a bunch of words on one occasion. No, you get good at a new language by studying those words on a regular basis and then using them in real world situations. This type of interval learning and application aids greatly in memory retention and overall understanding. And we see the same thing in poker. The most effective way to get better at this game is by consistently reviewing the spots that are giving you the most trouble and then applying the improvements at the tables. This is why I suggest that you open up a poker database program like Pokertracker or Hold'em Manager for 5-10 minutes before you start your session. Sort yesterday's hands by the top 5 biggest pots that you were involved in. Some of these might be coolers (e.g. KK vs AA, set over set). Don't worry about stuff like that. Look at the spots where you got stacked with an over pair or lost a big pot with top pair for instance. Ask yourself if you could have made a fold versus that particular player given the board, the action in the hand and their tendencies. It shouldn't take longer than a few minutes to do a quick review of the 5 most important hands from yesterday. See what you did wrong (or right) and be on the lookout for those same spots in today's session. I would also recommend taking one or two of these hands each day and posting them on a poker strategy forum in order to get some feedback from others. There are a few important ways to make sure that you get as many quality replies as possible. Finish the post by asking one or two succinct and to the point questions like "can I find a fold here on the turn?" or "do you value bet this river?" Lastly, DO NOT post the results of the hand as this can massively bias the replies that you will get. You can post the results a few days later in a comment if you want after the hand has been thoroughly discussed. 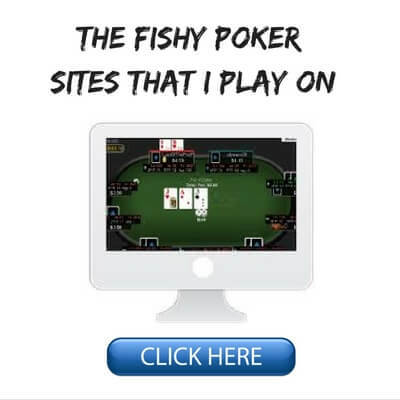 Now of course not all poker forums are created the same. Some are well known for their negativity and immaturity. I would just avoid these ones outright. There are many smaller forums out there though that have a good community of positive minded people who want to improve. Make sure that you comment on some other hands every once in awhile as well. Honestly though most high level poker strategy discussion has gone underground for many years now. There are just too many people and too many flame wars on most of the big forums. And since most people lose at this game in the long run, you are getting the opinions of losing poker players most of the time as well. So one of the best things that you can do for your development as a poker player is to find a couple of other winning, driven people who are at around the same skill level as you. After that form a Skype group or a private Facebook group in order to discuss hands and general strategy on a regular basis. How do you find a couple of other smart, driven, winning poker players without an ego you might be asking yourself? Well to be honest it isn't always easy. But I think that one of the best ways is to simply contact a few of the biggest winners in your own games. You should already know who these people are if you have played at your current stake for a little while. As much as I don't like making friends with the people that I play against, exchanging some insights on the game could be mutually beneficial to both of you. Note that I am absolutely not advocating "soft playing" in any way at the tables here. And that is why ideally it is better to find people who play at a different stake than you in the first place. Preferably higher. How do you contact them? I think Twitter is probably one of the best ways. A lot of poker players have a Twitter account these days (here is mine). You can also google their screen name and there is a good chance that they might have another social media account or even a profile on a forum. Tiltbook seems to be gaining a bit in popularity. This is basically Facebook for poker players. You might be able to network with some other good players on there as well (my profile on there). Now I know that not everybody has a limitless amount of time to devote to playing poker and studying the game especially if you have a full time job, a wife or kids. So please note that with some of these suggestions like this one it is not mandatory that you do this every single day. If you have a busy schedule then maybe you just find some time on the weekends for instance. 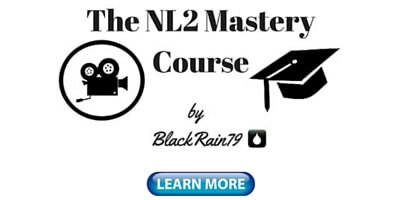 Training videos are still one of the very best ways to improve your poker game in my opinion because you essentially get to look over the shoulder of a good winning player. Now the biggest mistake that most people make here is focusing on videos that have very little application to the games that they actually play in. I have a huge Phil Galfond man-crush as much as the next guy and I think his insights on the game are brilliant. However, I don't spend much time watching his NL5000 videos. Because I don't play NL5000! I play at the stakes that most people reading this blog play at, the micros (NL2-NL50). So it is very important that you watch videos that are based on the stakes that you actually play at. The strategies that work at NL5000 have literally no application at all in a typical NL10 game. In fact, you will probably only be hurting your progress. Secondly, watching a training video is not like watching a movie. They are not made for your entertainment. They are made for instructional purposes. So in order to get the most out of training videos I would recommend giving them your full attention, perhaps taking notes and asking the coach followup questions on stuff that you don't understand. I have made something like 100 videos (all aimed at the micros) in the past for the training site DragTheBar.com. However, I have been inactive on this site for quite some time now and don't have any immediate plans to make more videos there. 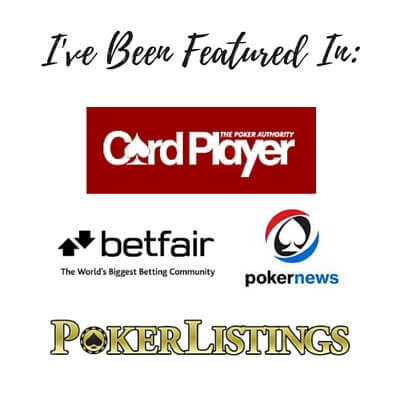 So these days I actually would suggest checking out Deucescracked.com. 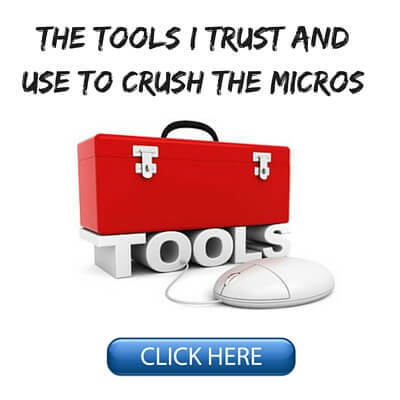 They are a much bigger training site and have tons of completely up to date high quality content for the micros being released every day. Everybody learns in different ways and some people prefer a book format where a lot more information can be covered in much greater detail. There are tons of great new titles out there covering every aspect of the game on both the technical and the mental side. On the technical side you also have both exploitative books (like the ones that I write) and GTO math based books. 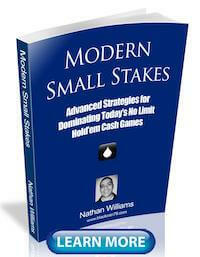 Once again it is important to choose poker books that actually relate to the games that you are playing in. A book that is geared towards tournaments, high stakes cash or live poker for instance is not going to be very helpful if you play NL10 6max. Lastly, similar to training videos, make sure that you are an active reader. Take notes. Poker books are not fiction. They are not there to entertain you. 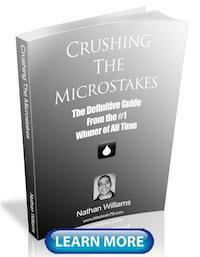 The sole purpose of poker books is to improve your poker game. So they should be treated almost like a college textbook. You will get out of them what you put in. What you do away from the tables in your day to day life is often just as important for your results as your technical knowledge of the game. Poker can be a stressful game at time. And unless you sit on top of a mountain meditating all day, then there are probably some other stressors in your life as well. The best stress reliever that I have ever found by far is regular physical exercise. If these three words make your inner soul cringe just hear me out for a few more seconds here. Now regular physical exercise doesn't mean that you need to put in an hour on the treadmill every day, swing kettlebells and run backwards up hills. You could get regular physical exercise by simply playing some fun sports like badminton, tennis, basketball or soccer with friends or attending a hiking meetup. Heck, if you travel a lot like I do, then you can get a lot of physical exercise just by wandering around new cities and sightseeing. You could also lift weights if this is something that you are into. Take up rock climbing or kite surfing. Maybe yoga is your thing. Who knows! The main point here is just to get active. This also helps get your mind completely away from the game for awhile as well which is very important especially when you are struggling with a downswing. A lot of poker players that I have met though live extremely sedentary lives where basically all they do is sit around all day behind a computer or at the casino. This is not going to be good for your mental state at the tables, ability to handle tilt and downswings or just for your overall happiness levels in general. Another way to push through at the tables, get better and ultimately increase your win rate is to start trying out new strategies on a regular basis. I will typically do this against the regs who I have a lot of history with. Just start taking some bizarre lines against them and see how they react. Basically I will just try out a bunch of new lines against some of the regs in order to see what their reaction will be. This is one of the best ways to find their weaknesses and to find new ways to exploit them in the future. This is also a great way to potentially put them on tilt which can be absolutely massive for your win rate. And lastly, if nothing else it is good to just always keep the better regs guessing about how you play the game and what kind of hand you might show up with this time. I talk about table selection all the time on this blog because it is the #1 key to your success in today's games. You can take fancy lines against the regs all day but you will never beat them for a huge win rate because they simply don't make the massive mistakes that the fish do. So therefore, you should be tagging the recreational players and following them around at all times. They should indeed be your sole reason for even being at a certain table. Often before I even start a session I will scan all of the tables in the lobby looking for fish who I already have tagged. I will then join those tables or join the wait list. I will also search that player if the option is available and join any other tables that they are on even if it is at another limit. I will also look at several of the short handed games (i.e. a 6max table that only has 3 people on it) and look for some signs of bad play like limping, undersized bets, bizarre stack size, not using auto reload etc. Many fish love to gamble it up on short handed tables because they can just jump into the action right away. The bottom line here is to do a little bit of pre scouting before you even sit down at the tables. You can improve your chances of playing with the bad players greatly by taking a few simple steps like this. Many people think that the only use of programs like Pokertracker or Hold'em Manager is to use the HUD and to see their graph. These highly sophisticated programs allow you to filter for literally any scenario you possibly want and see the results for yourself. You can't argue with raw data! Don't know if it is profitable to 3Bet AQ from the blinds versus a raise? Run a filter for it in Pokertracker and find out for yourself. I am assuming here that you have a decent database of hands built up already. But if you play on a regular basis then this should not be a problem. I have already written a comprehensive database review article where I show you exactly how to run filters. I would recommend checking that out if you need additional pointers. Another thing that I always suggest is to study the top players in your game. Because after all, there is no better source of information on planet earth for beating the games that you currently play in than the actual players who are killing it right now. Well once again this is done most efficiently by using the exhaustive database and statistical analysis features in programs like Pokertracker or Hold'em Manager. In Pokertracker you can go to the "My Reports" tab and run custom filters on specific player types, filter for winning players only etc. I would recommend identifying about 4 or 5 top players in your current games and studying every aspect of their game on a regular basis. Do they tend to take a different line than you in some key spots? Perhaps there is a reason for this. And by studying these players I am not in any way advocating that you copy them. You need to always breathe your own style and personality into your game. But clearly these players are probably doing a lot of things right already. Try to understand how they think about the game by the actions that they take at the tables. Keep an especially close eye on the hands that they show up with at showdown (yes you can filter for this too). Lastly, poker should always be about having fun. This is why we all started playing the game in the first place right? Getting to the poker tables each day should not be a chore for you. It should be something that you can't wait to do in fact! If you are getting bored with your current grind, then try a different format for awhile. Just decide to go play tournaments for a week, go learn PLO (you know that crazy game where they use 4 cards), play live poker etc. Mixing it up on a regular basis will not only make you a better poker player but it will also make sure that you are always looking forward to each session. When the game is enjoyable and less of a grind, then you will also be more motivated to study harder and improve. There is win-win all around here. 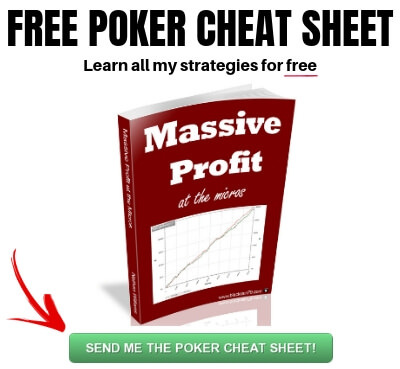 Let me know in the comments below what daily actions you take to improve your poker results. Do you have any other tips? Lastly, if you found this article helpful, then do me a favor and "Like" or "Tweet" it below. Thanks! Thank you for the kind words Jason and thanks for reading! I really like your content! Since you mentioned Table Selection as the #1 key to success in today's games, how would you relate seat selection in comparison to that? For example, if you compare sitting at a NL2 6-max table with 3 fish, how much of a difference does it make if all of them sit on your direct right vs. scattered over the whole table? Great article as usual. Just wanted to thank you for articles, videos and awesome books! Thanks Slawomir, glad they help! tip #11 is amazing. I spent hours just checking the 20 players with the most hands in my database and looked how they played. They were all people that looked like TAGs (and are winning according to my stats on them) on NL5 at PS. For 14 of them I found 2-3 major mistakes I can more often exploit now. Great job and good luck in your games! Dont you guys just LOVE when you are playing a live game and people ask you thing like why did you make that call etc etc. Is it just me ? It seems like the guys making comments are invariably one of the first couple of guys at the table to get busted. Good points Ritchie, definitely agree! Poker will always be a part of my life though and tbh I've won at poker in terms of life, taught me how to read people, how to put maximum effort in and it most importantly taught me that money, fame etc are all short term fixes, they don't create true happiness ! Do you still play part time ? Hey Ritchie, yes I still play regularly and even live sometimes too. Don't think I will ever stop. Well Ritchie can speak for himself. I WISH I had the time to play live poker 4 days a week every week. 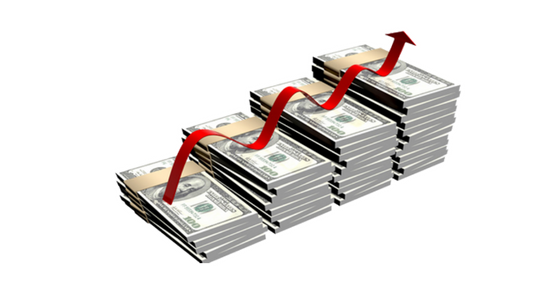 There are a fair amount of guys who are good enough to supplement an income. Far fewer guys are good enough to earn enough that would provide a middle class life style. Most guys can't win period. I really loved tip 8. Would you say that to do this once per week or less often? Thanks Pedro! I would say once every other session or once a week would be accurate for me. Versus the regs that I see a lot I like to give them a really weird look on occasion so that they can never peg me as X type of player or Y type of player. I can be anything depending on the day.